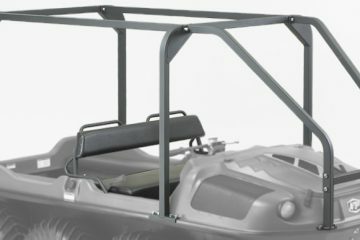 Powder coated tubular steel frame provides roll over protection and seat belts for driver and front seat passenger. Available for all models. Cannot go with Roll Bar, Suspension Seats or regular Brushguard. 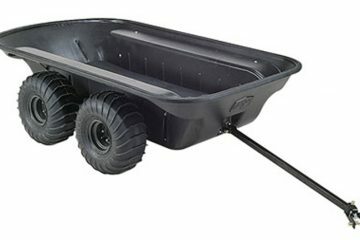 Heavy duty 18” (457 mm) wide rubber track provides optimum flotation with minimal ground pressure. Exceptional traction. 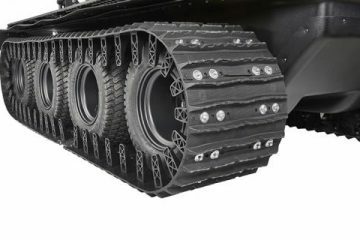 Lightweight durable construction and low rolling resistance ensures smooth, quiet operation in difficult terrain conditions. 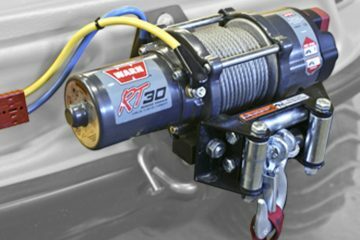 Available with or without axle extensions. 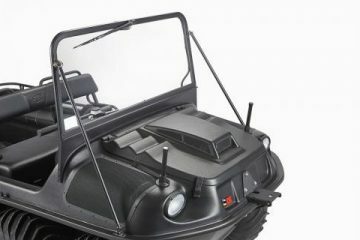 Designed for ARGO with 24” (610 mm) turf tires. 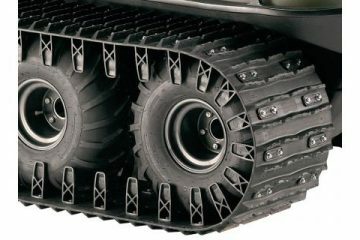 Xtreme duty 18” (457 mm) wide rubber track with UHMW-PE guides, reinforced turf tire and rim provides optimum flotation with minimal ground pressure. Designed for use with Conquest models, this track offers quiet operation, superior wear and durability in difficult terrain. 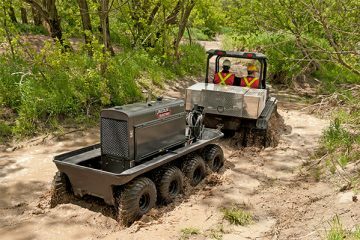 Two track configuration designed for ARGO with 24” (610 mm) turf tires. 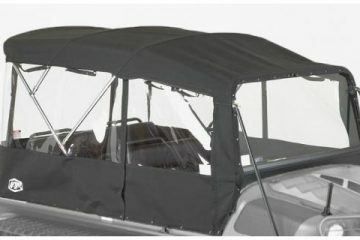 Scratch-resistant acrylic in an aluminium frame, features fold over hinge for storage and a mounting location for the optional windshield wiper accessory. Up to 1,400 lb. (635 kg) load capacity. Complete with 24” (610 mm) or 25” (635 mm) tires. Lincoln Electric Welder sold separately. Up to 600 lb. 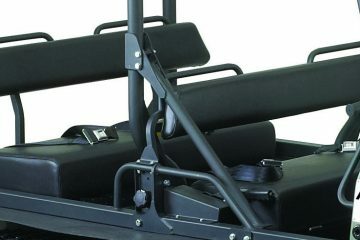 (275 kg) load capacity in a black 6-wheel lower body with ARGO axles and wheels. Complete with 24” (610 mm) or 25” (635 mm) tires. Available for all models.